All Dressed Up can turn your logo or signature character into an important marketing tool that can promote your company and attract attention!! 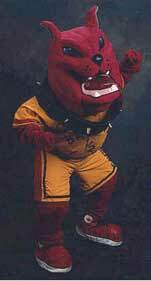 Make your athletic or school mascot an integral part of your athletic program. Imrpove school spirit with a mascot custom designed to draw more fans, and improve school spirit. The professional designers at All Dressed Up Costumes will create the right character with the perfect personality to set your organization apart..